In every season before the league starts, the league champions and the F.A. Cup winners of the prior season play in a tournament called F.A. 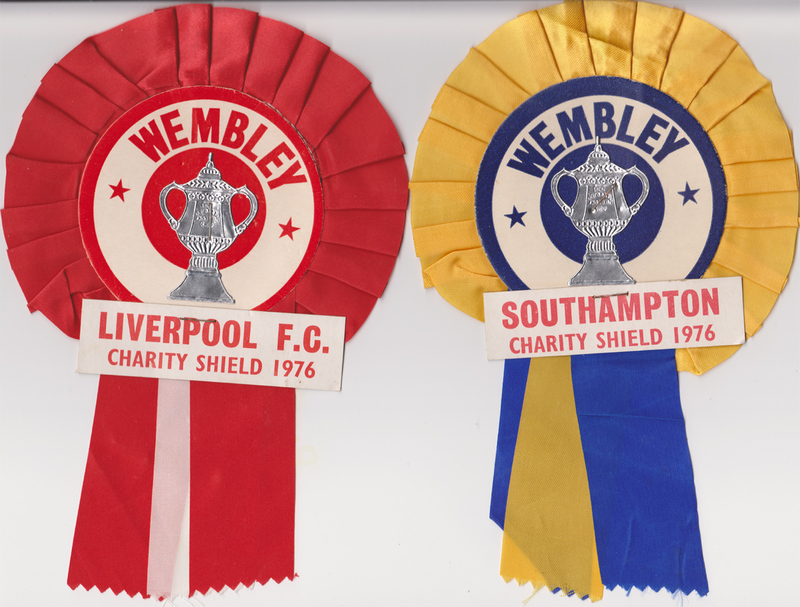 Charity Shield (nowadays known as the Community Shield). 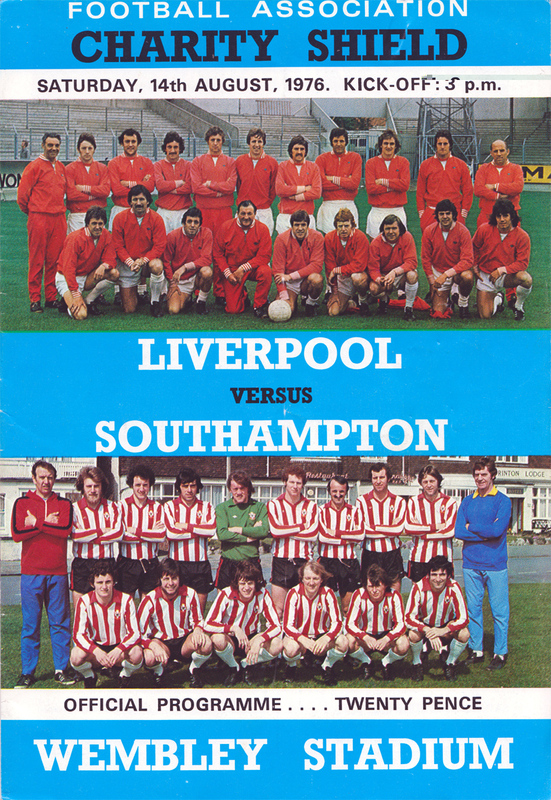 On 14 August 1976, Liverpool, the league champions of season 1975-1976, played against Southampton, the 1976 F.A. Cup Winners, in the 1976 F.A. 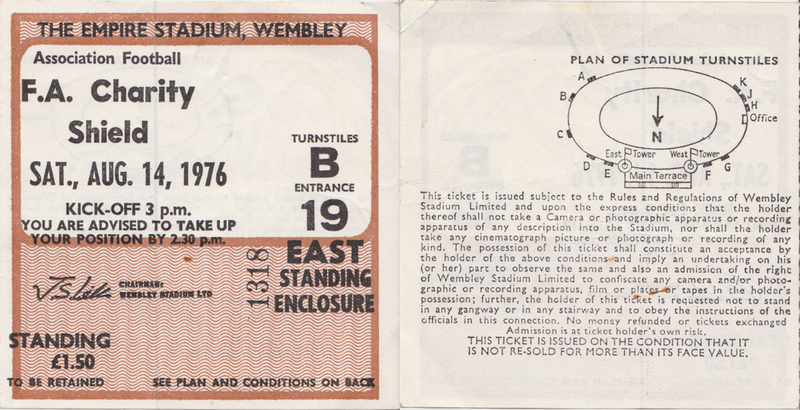 Charity Shield at the Wembley Stadium. 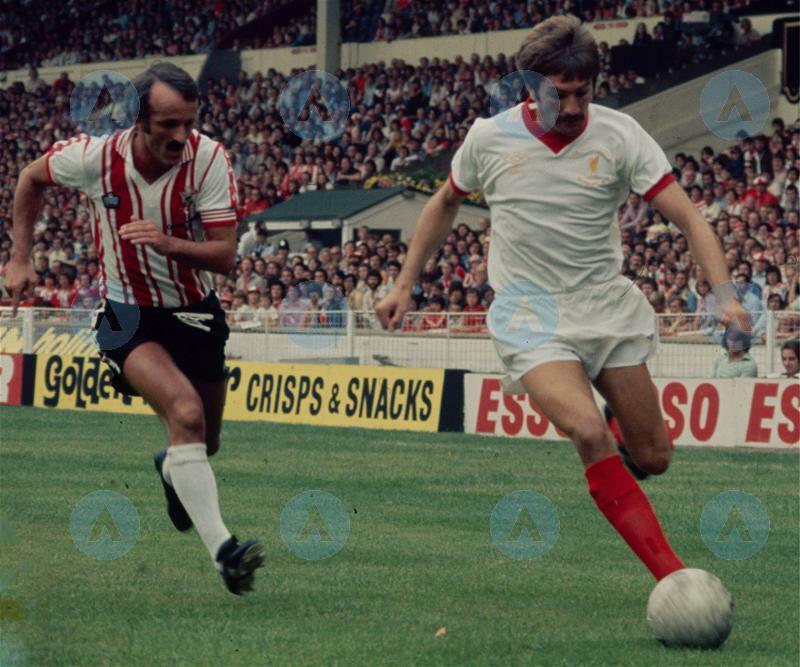 In this match, Liverpool was drawn to wear the away kit in white and Southampton wearing the red & white stripped home kit. 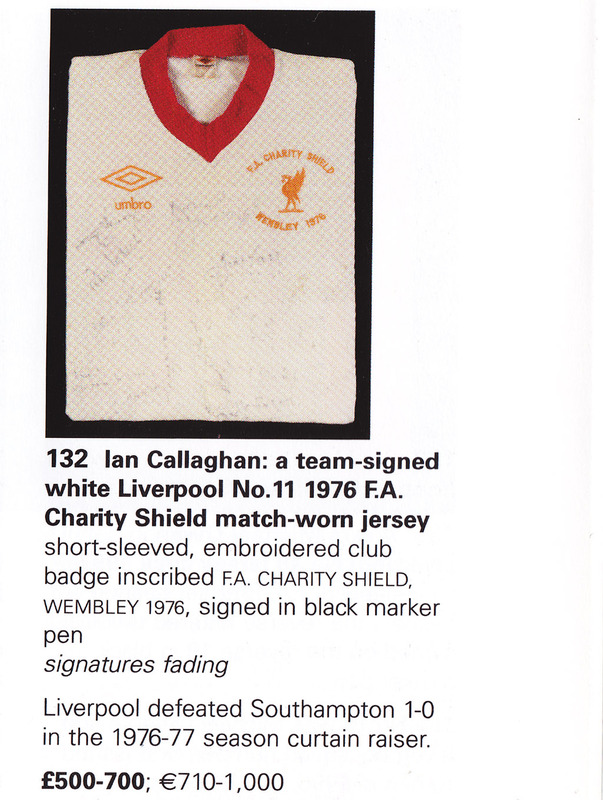 The Liverpool's white kit was an one-off shirt that carried a special match embroidery. However, Liverpool only wore this white away kit during the first half of the match and starting in the second half, Liverpool changed back to a standard away kit without any additional embroidery. The reason for change of stripes is still a mystery. 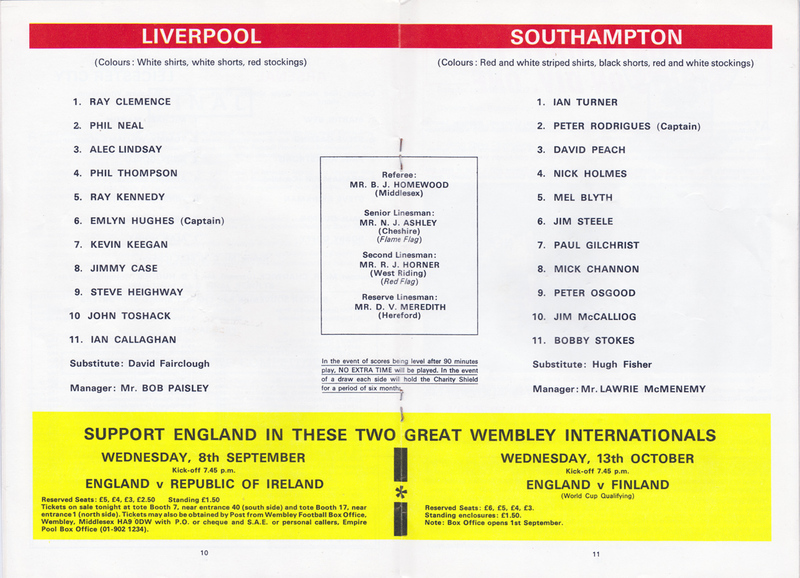 The match ended with a result of Liverpool 1 - Southampton 0, with John Toshack scoring the only goal in 50 minutes. 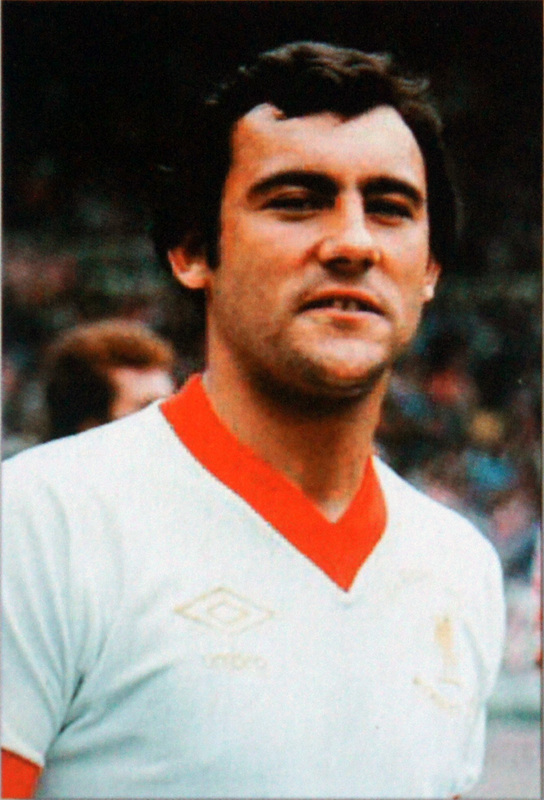 As aforesaid above, Liverpool wore the white away shirt with a special match embroidery during the first half of the 1976 F.A. Charity Shield. 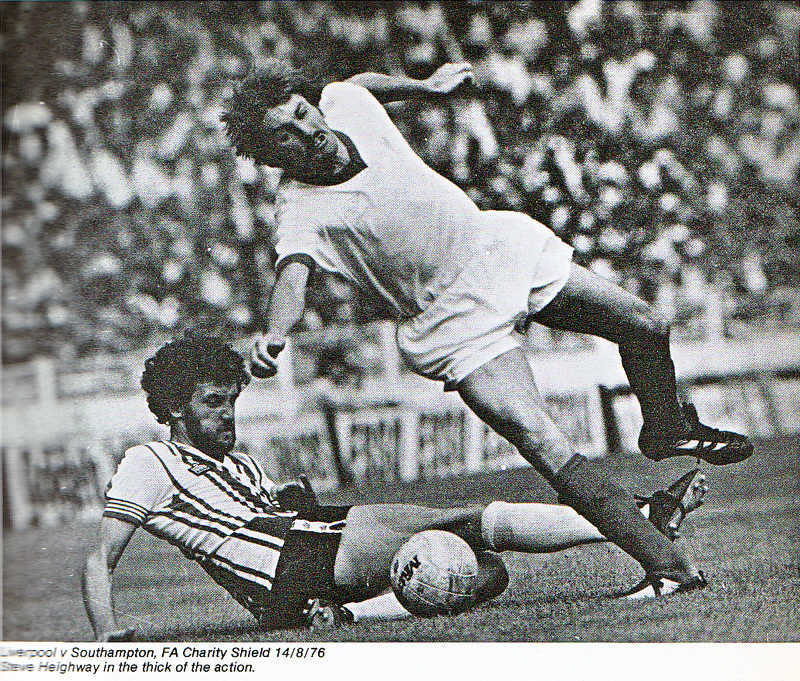 Featured Steve Heighway in match action. Featured Ray Kennedy wearing the 1976 F.A. Charity Shield Match Shirt before the kickoff. 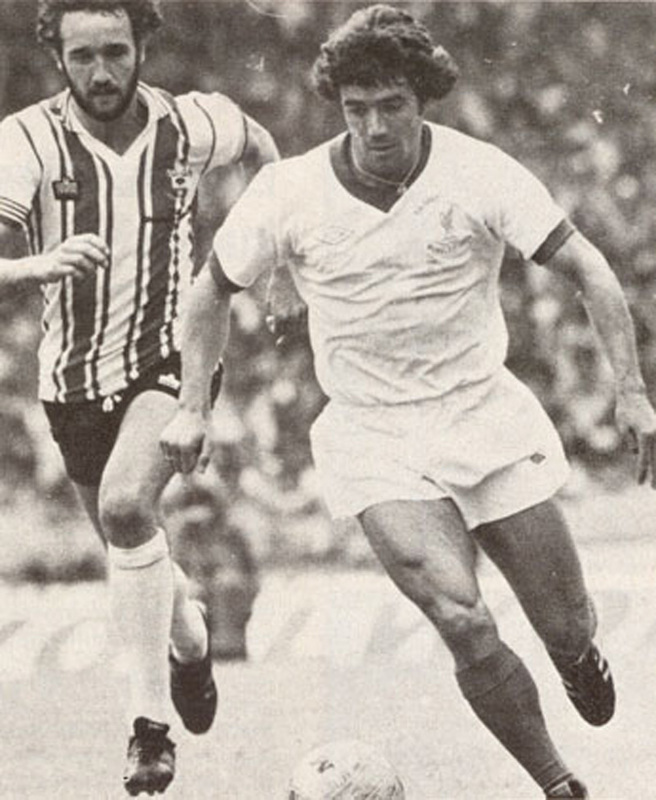 Featured Kevin Keegan wearing the 1976 F.A. 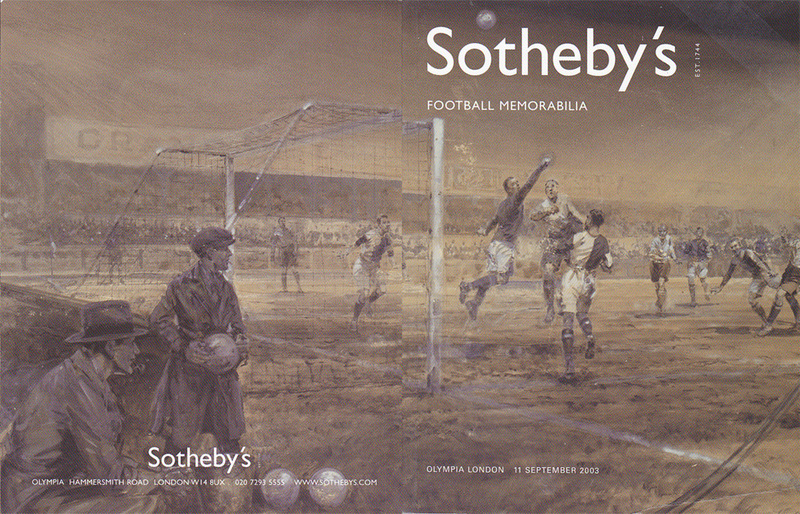 Charity Shield Match Shirt in match action during the first half of the match. Featured Steve Heighway in match action during the second half. Note that the shirt no longer carried the special match embroidery. 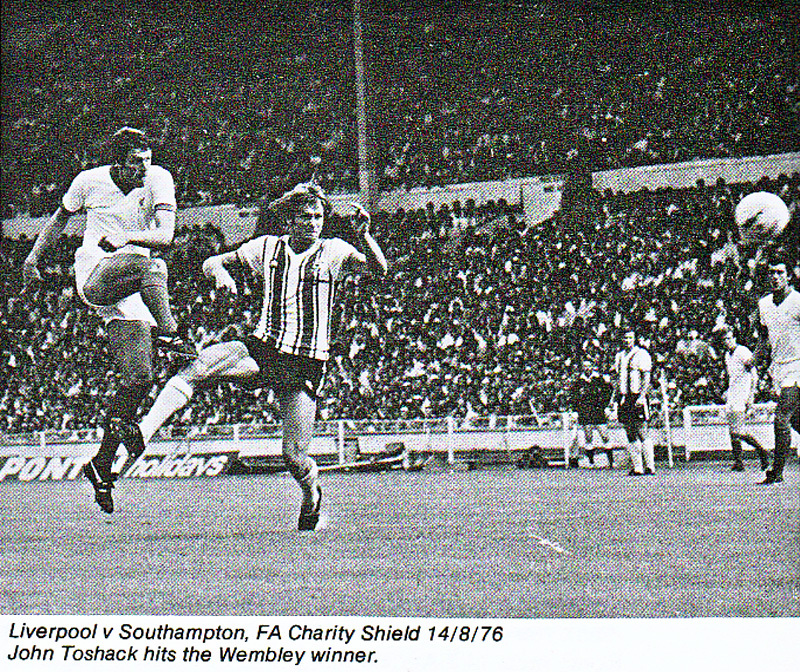 Featured John Toshack scoring the winning goal in 50 mins of second half. Once again, the shirt no longer carried the special match embroidery. 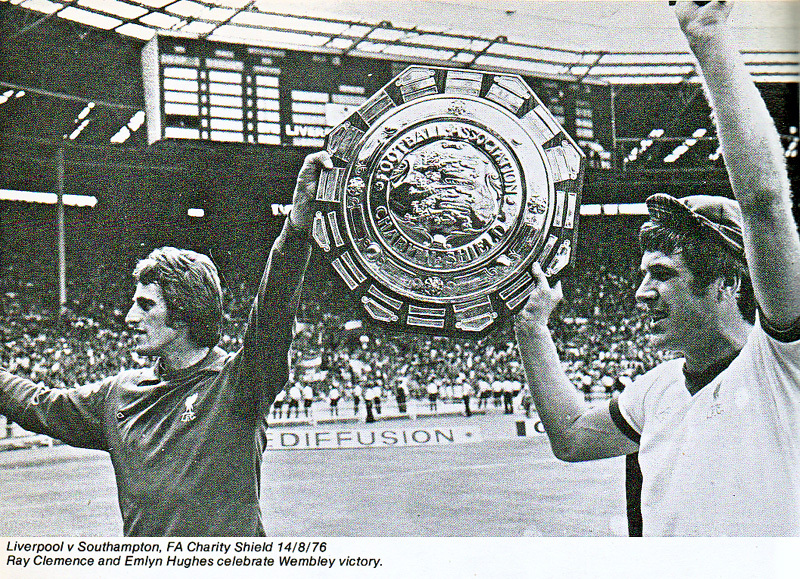 Featured Ray Clemence and skipper Emlyn Hughes holding the Charity Shield trophy. Likewise, the shirt does not carry special match embroidery. 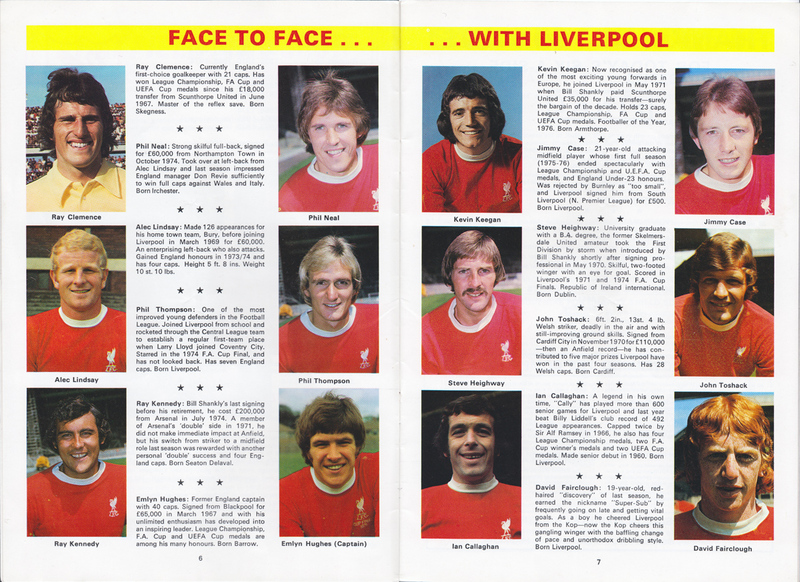 Liverpool 1976 F.A. 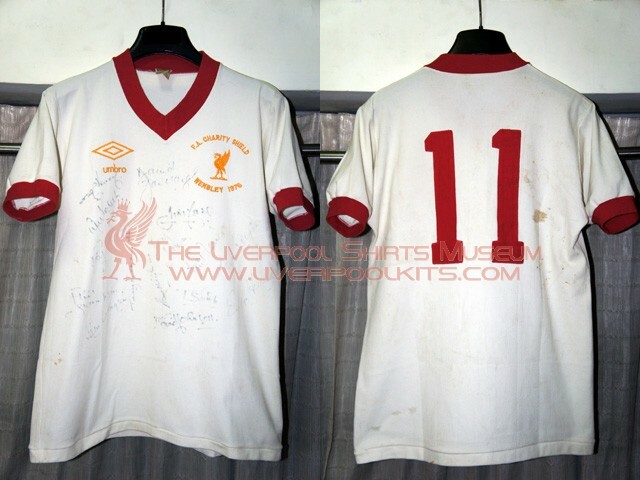 Charity Shield Player Shirt - This is the actual match worn shirt of Ian Callaghan, who played in a number 11 shirt. Special embroidery of "F.A. 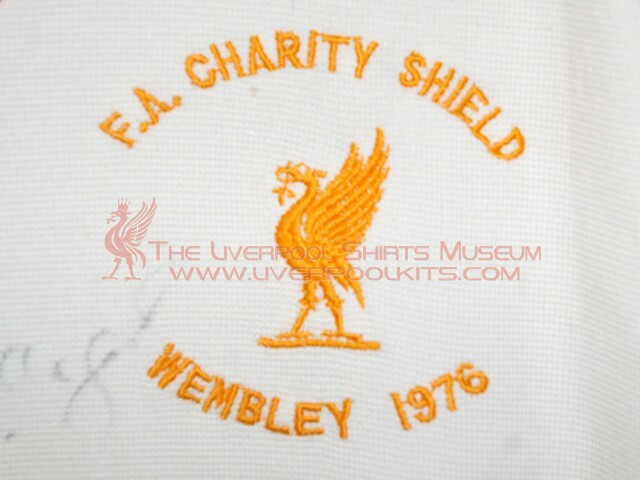 Charity Shield Wembley 1976" is stitched around the Liverbird emblem. Such embroidery is only found on the shirts worn during the first half of the match. 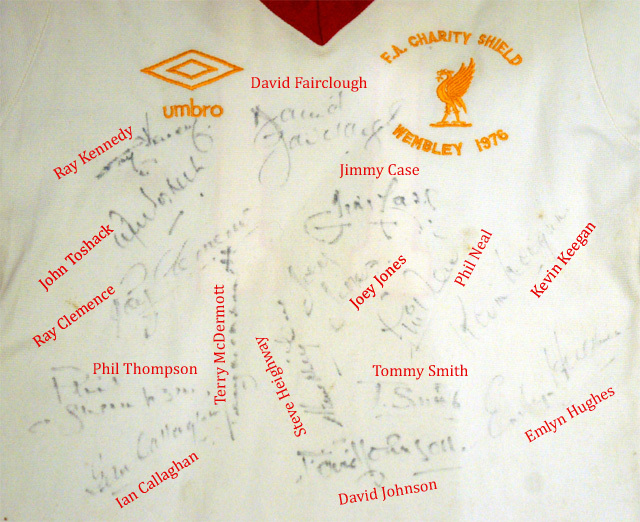 The shirt was exactly fully autographed by the full squad of the F.A. Charity Shield 1976 match day.. 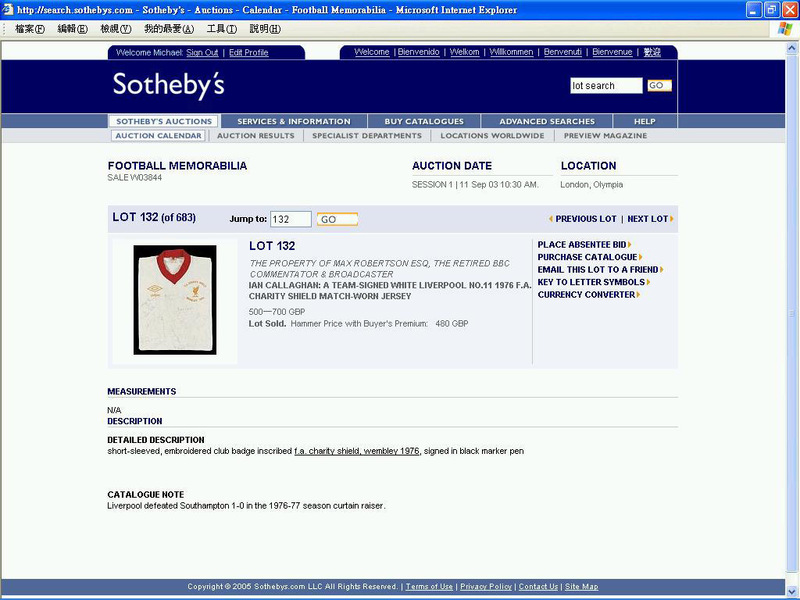 This match worn shirt has a good provenance - it comes from London Sotheby's football memorabilia auction held on 11 September 2003. The hammered price with buyer's premium then was UKP480. It was the Lot Number 132 then with an estimated price of UKP500 - UKP700.